A Family Tradition. 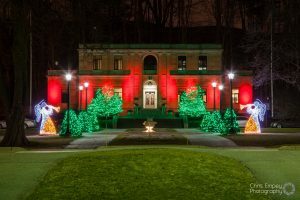 The most enchanting of Niagara attractions, The Winter Festival of Lights, has become a Holiday tradition for over one million visitors from around the globe. Join us for spectacular light displays, the Fallsview Sound and Light Show, Holiday Lights Tours and over 2 million lights displayed along the Niagara Parkway, Dufferin Islands and Niagara Falls.